Continuing on with My Spanish Challenge and reading this one by one of my favourite authors. 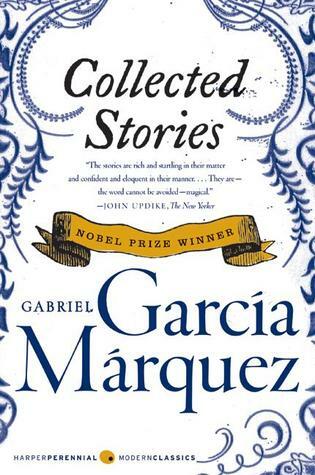 It is part of the collection entitled Las Funerales de Mamá Grande / Big Mama’s Funeral and is also reproduced on Collected Stories. The Spanish version I worked with is found here. It is the story of Aurelio Escovar, a dentist, who finds himself with the mayor as his patient. The unnamed mayor has had a damaged molar for five days and has a swollen face and is in lots of pain. Initially the dentist refuses to attend to him, but is then threatened by the mayor, a military man clearly used to getting his own way. Time therefore for the dentist to extract comeuppance for the mayor’s activities around the town “Tiene que ser sin anestesia” “¿Por qué?” “Porque tiene un absceco” Great excuse! The dentists extracts the tooth murmuring “ Aqui nos paga veinte muertos, teniente” Here you pay as for 20 deaths, lieutenant.